This hose is a 75 PSI rated heavy duty dry powder delivery hose for discharge of dry powders under low pressure. 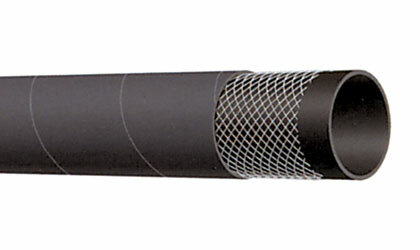 Hose is made using a 3/8" black static conducting NR compound to resist cutting by abrasive materials. It’s reinforced by spiraled high tensile textile cords. The cover is black conductive SBR/NR blend, which is abrasion and ozone resistant. Uses include pneumatic transfer of dry materials and abrasive slurries. HWT763AA hose is available in a 4" ID size. Click here for more info.